The omega-3 fatty acid DHA accounts for 40% of the polyunsaturated fats in the brain!95 Brain synapses — the connectors through which brain neurons communicate with each other — have a higher concentration of DHA than almost any other tissue in the body. DHA stimulates the production of neuronal features that underlie learning. So Life Extension has developed a premium DHA formulation derived from sustainable algae sources. 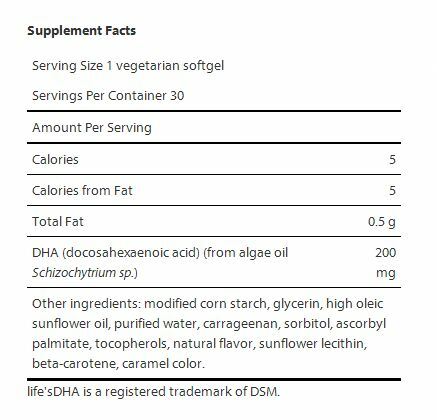 Made with a highly refined DHA oil derived entirely from algae cells in culture, it meets the most rigid standards of vegan and vegetarian diets … and is ideal for virtually everyone who wishes to supplement their DHA intake.